Toronto’s Andrew Ledger beat out a field of talented players to win the Great Lakes Tour London Championship at the Tarandowah Players’ Club in Avon, Ontario on Friday, May 26. 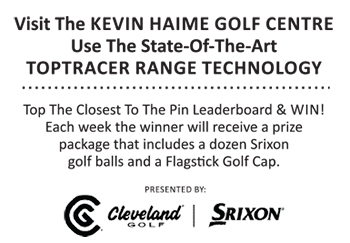 The former college baseball player was the only competitor in the field that managed to break par for all three rounds at the highly respected Martin Hawtree design. Ledger turned in cards of 69, 69, and 68 on his way to a 4 under par total and a $3,000 first place prize. It was a slim victory, as he surpassed two players by a single stroke. Michael Gligic of Kitchener, ON and Jesse Smith of Oshweken, ON finished at -3 and each picked up $1,750.00 each. The top amateur was Tony Gil of Toronto, ON who tied for 15th place.